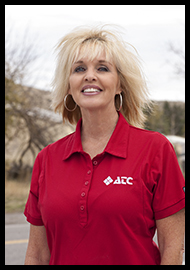 Mrs. Redman has been with ATC since 1996. Connie has a long history of supporting ATC over the years. She assists in everything from coordinating the company’s community donations, to organizing the wide array of company meetings and trainings. If something needs done, chances are our “Deputy Accomplice” will be there taking care of the details. In her free time Connie enjoys gardening, mashed potatoes and gravy, and of course – spending time with her precious grand-babies. ATC is lucky to have this family-oriented, sweet heart of a lady supporting ATC.